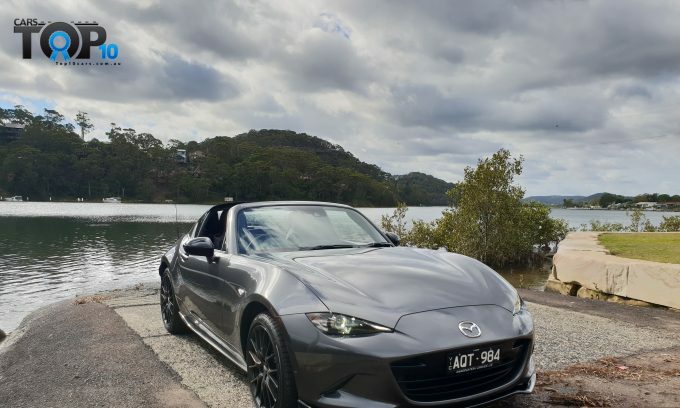 One of the most joyful and fun-to-drive sports cars- the Mazda MX5- has come in for some revisions, with a new performance-focused Limited Edition just for Australia sitting atop the range. 110 MX-5 Limited Editions based on the rectractable hardtop equipped MX-5 RF will grace our shores, with many upgrades that enhance handling and braking. 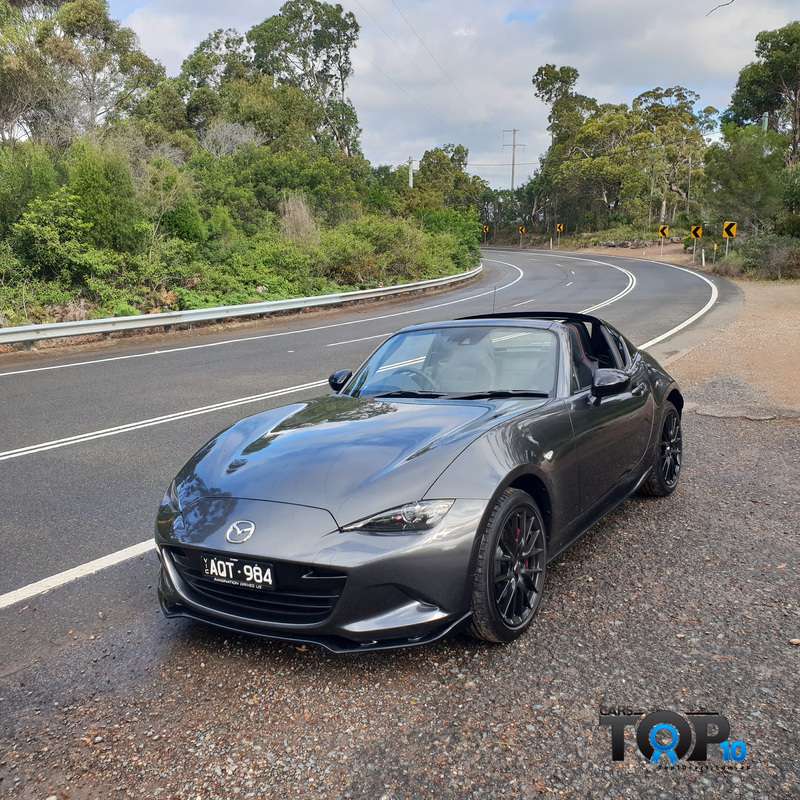 It arrives as the rest of the MX-5 range has been treated to an upgrade, which includes revised rear suspension bushes, lengthened bump stops and NVH improvements. 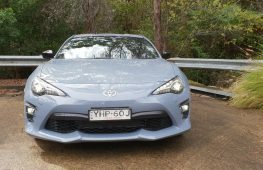 The result is a tangible improvement to the car’s road manners and refinement. Lane departure warning, rear cross-traffic alert, active high beam are included in the new car’s revised safety package too. 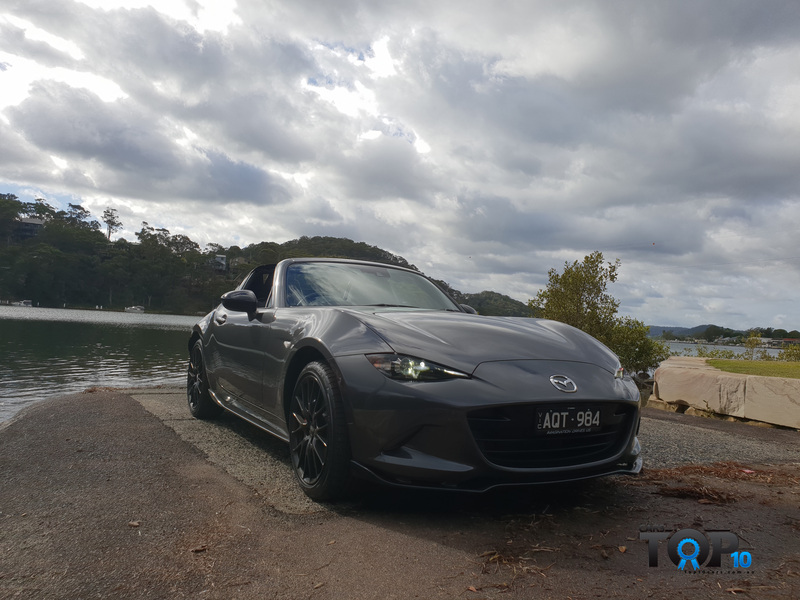 Our MX-5 Limited Edition test car also comes with bolstered Recaro seats, Brembo four-piston front calipers, 17-inch BBS alloys, Bilstein dampers and strut brace. The four-piston calipers clasp discs with improved cooling, which, combined with improved pads make them 26 less susceptible to fade, accodring to Mazda. 2kg of unsprung mass has also been jettisoned with this setup. 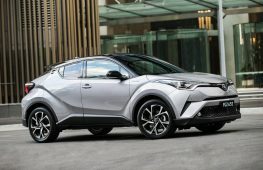 Aside $55,790 Limited Edition, the pricing for the rest of the range rises by $100 for non-GT models, and $1320 for GT versions. Do these changes make one of the most fun-to-drive cars on the market any better? Right off the bat, you should be aware this is a small car with a sporting focus, which means that your level of fitness and height will determine how easy it is to get in and out of. It’s no Lotus Elise but no Mazda 3 either. A bulbous transmission tunnel is noticeable here but not where your feet go. Once ensconced in the Recaro buckets, you’ll find an excellent driving position, with gear lever, steering wheel and all primary controls within easy reach. You should also be aware that the flying buttresses that are fixed on the RF retractable hardtop version do hinder visibility and there is no reversing camera. The soft-top MX-5’s roof-down visibility is definitely superior, but there is enough visual appeal to justify the Limited Edition’s extra premium. There is more than a hint of Ferrari 575 Barchetta about it. To operate the top, you hold down a rocker switch for 10 seconds, while an animation displays in the instrument cluster. If you’re travelling above 10km/h, it is locked out of operation, but it is an elegant mechanism that is sure to impress upon first acquaintance. 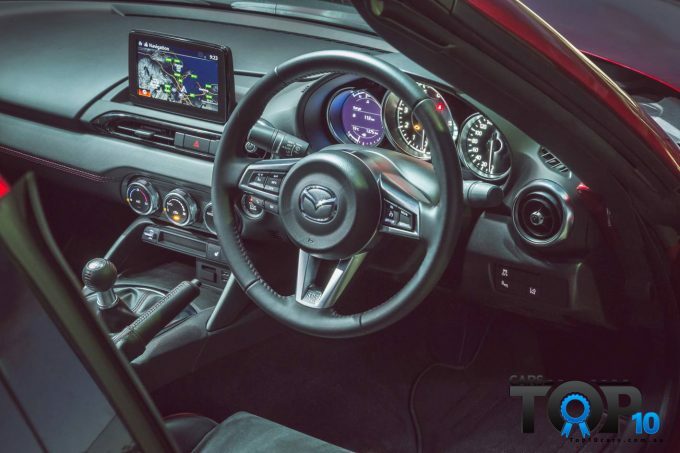 Mazda’s MZD Connect infotainment system is a gem from a usability standpoint. The rotary click wheel makes for distraction-free navigation input and menu selection, with features such as speed camera alerts and freeway exit graphics, but is no longer has the sharpest or most visually appealing graphics around. Some of inner-Sydney’s ring roads did reveal slow-ish operation but the rest of the time it worked flawlessly. The speedometer is easy to read but a digital version to accompany it would be most welcome in a car like this. Thank God for the speed camera alerts in the satnav. 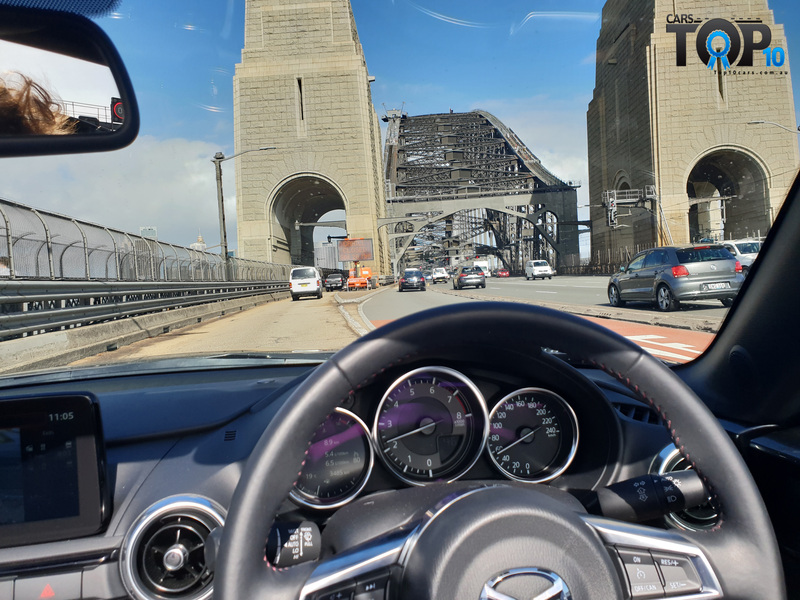 Stereo quality is decent, meaning you can draw attention to yourself with some pounding tunes, if having a convertible wasn’t noticeable enough. Its reasonably crisp and there’s plenty of bass from the nine speaker unit. 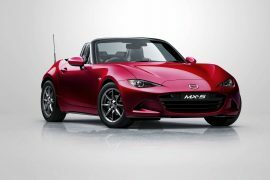 The ND MX-5 has aged superbly well, as the most focused interpretation of Mazda’s ‘Kodo’ design language. 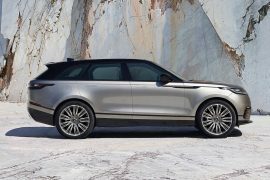 Thus it has been kept largely intact, but the visual additions of the Limited Edition model do give the car a more ‘complete’ appearance and pedigree. As practicality is often a function of design, it does reasonably well in this department considering its sporting focus. The removable cup holders aren’t ideal though, and maybe they should’ve taken a leaf out of Saab’s book with retractable, dash mounted items. In -cabin boot access is handy but with a trunk of only 130 litres, it’s not designed for the weekend trip to Bunnings. 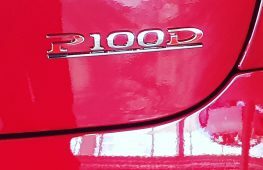 Outputs of 118kW and 200Nm don’t seem like much but with only got 1078kg to hurl around, it’s enough to make it easy to live with in traffic and quite sprightly in the upper-rev range. 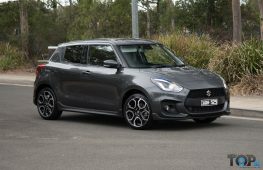 Compared to the 1005kg soft-top this writer has tested previously, it felt maybe a few tenths off that car’s 6.94 second 0-100km/h time and 15.08 second quarter mile, but there’s really not much in it. An expected upgrade to 138kW thanks to a raised redline from 6800 to 7500rpm is in the works, but unlikely to arrive before year’s end. 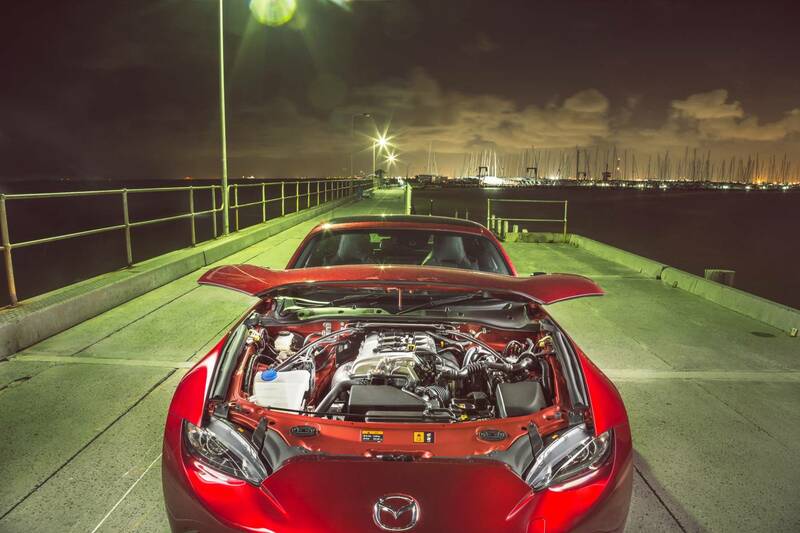 In any case, it doesn’t want for power, with gearbox, chassis and braking all absolutely outstanding. If there’s any criticism, perhaps the engine note is slightly flat, but there are few -if any- more fun-to-drive cars in this price range with such little in the way of compromises. The six-speed manual is a narcotic joy to flick between ratios, complemented by a clutch that is light, yet feelsome. A spherical gearknob with shift pattern etched into the top is an ergonomic triumph. 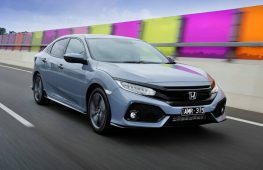 There is enough torque from the 2.0-litre engine to pull away most of the time without dialing up a lot of revs. While not having tested the automatic version, Mazda does automatics well so we have every confidence it would live up to the promise, but the Limited Edition tested is a manual-only proposition. While definitely firmer than the standard setup, it is surprisingly compliant at all times, with all but a smidge of body roll dialed out- which you still want in a short wheelbase car to telegraph that you’re at the edge of adhesion. It hunts the apex and pulls in flatly, as if magnetically, with the electric power steering proving to be so direct it feels wired to your synapses. When not being thrown around esses with enthusiasm, it’s as user-friendly as a Mazda2 shopping trolley, which means it plays the dual-role act of Grand Tourer superbly well. The Brembo brakes pull up the car with unexpected force, giving you more confidence in an already predictable chassis. Pedal pressure is consistent and you get the impression they would take plenty more punishment around a track than the standard setup, which isn’t too shabby in itself. 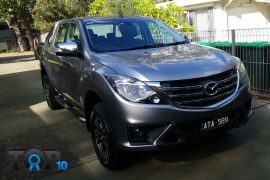 Of course it’s firm, but it never crashes, has more travel than you’d expect and, considering the fitment of 17s, it is more than capable of long-distance cruising without making the driver unduly tired. The efforts put towards dampening engine noise and subframe bushing have really paid dividends. 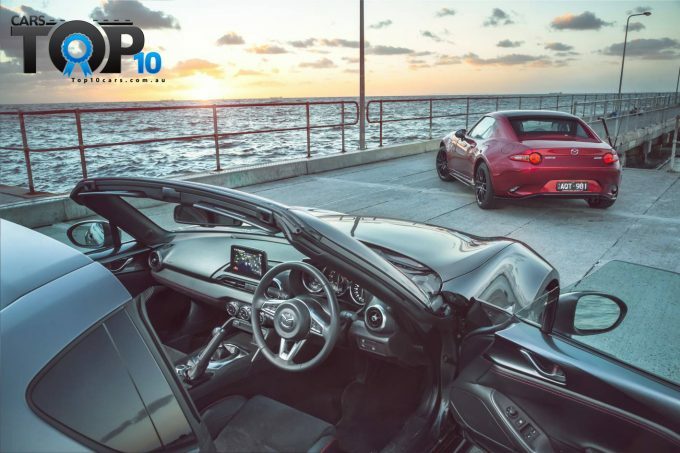 With an official rating of 7.0L/100km combined, the Limited Edition has the same rating as the $38,650 RF 2.0. 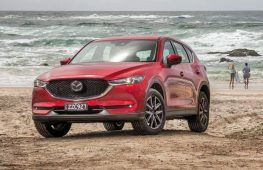 In the real world, we saw about 8.1L/100km, which is one reason we are glad Mazda is sticking with finely- tuned naturally aspirated engines for now, rather than turbocharged units that have good laboratory-tested ratings, but suffer more in the real world, generally speaking. 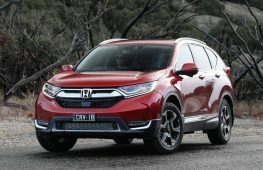 One drawback might be the requirement of premium unleaded, due to the high compression ratio of the ‘Skyactiv’ engine. 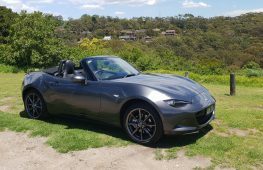 Being lighter than most cars makes the MX-5 more economical too. Servicing costs are more-or-less on par with the Mazda3, with 10,000km intervals. This means running costs are low by sports car standards and on-par with a regular car. 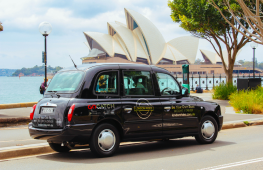 Being the same stronger, yet lighter design from 2015, a five star ANCAP rating remains, with the addition of lane departure warning and active headlamps and high beam adding to this equation. No autonomous emergency braking as yet or reverse camera, but rear cross-traffic alert made up for the visibility shortfall of the RF body. 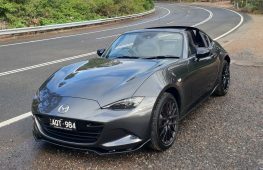 The inherent agility of the MX-5 bodes well for crash avoidance, while the upgraded brakes on this version do improve its score. Value for money has always been an ace up the MX-5’s sleeve and from a driver’s point of view, this is definitely true. Few other cars can match its fun-factor for the price, even for the $55,790 the Limited Edition is asking. Any question marks over whether the extra equipment is worth more than $10,000 over a comparable RF GT is offset by the prospect of superior resale value. How refreshing that a naturally-aspirated, manual transmission car remains available for an affordable price in 2018, where SUVs are engulfing the market little-by-little. 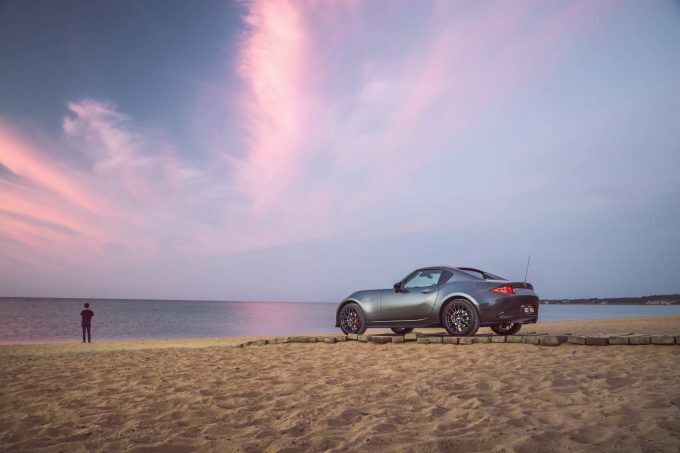 Whenever you drive the MX-5, you can feel the painstaking attention to detail paid by the engineers in every movement, which the Limited Edition’s extra features carefully accentuate. 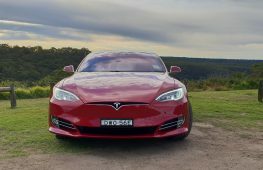 Efforts like this give the enthusiast faith that they will still be catered to for a while yet, before the world inevitably embraces electric, autonomous SUVs. The more vehicles like this are purchased ,the stronger the message it sends to manufacturers that fun-to-drive cars are profitable.